This entry was posted in Conservative people, Health, Uncategorized and tagged 1922 committee, alcohol, anti-social behaviour, binge drinking, Chablis, Chardonnay, cheap booze, David Cameron, Graham Brady, Licensing Act 2003, minimum pricing, minimum unit pricing. It is far easier to target the law abiding majority than to tackle the problematic few and of course increase tax revenue. Why are existing laws not used? Would the judiciary send a stern message to pub and club managers by handing out stiff sentences? The liberal elite could not possibly bring themselves to punish a minority group, after all “we are all in it together”. By the way, well done to you and Graham Brady. And good luck. 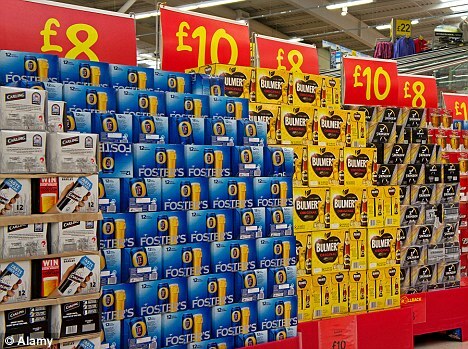 Of course, minimum pricing is not the same as duty. It means that the supermarkets and off licences are forced to put their prices – and therefore their margins – up. The only people who gain financially would be the retailers, assuming sales do not decline. If they do, the Treasury is hit as the duty receipts fall. Everyone loses.